This black leather kilt belt is 2.25" wide. The inner attachment is VELCRO, not the "small strap and buckle"... this assures that the "inner buckle" (like some other kilt belts have) won't damage your kilt. This high quality belt is 100% top grade leather and made in the UK. It also features a celtic knot work embossing. 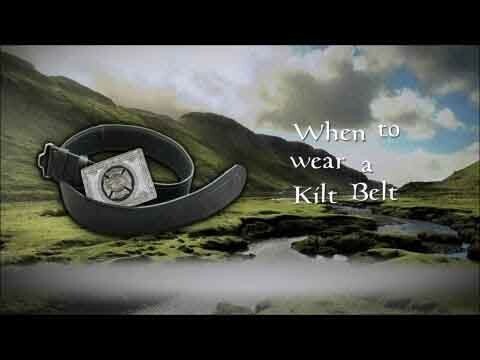 Measure around your waist the same place you would for a kilt’s waist measurement. Give us that measurement in inches and we'll provide you with a kilt belt that will fit. We try to keep this belt in stock at all times. In the rare instance that it is out of stock when you place your order, we will let you know within 24 hours.